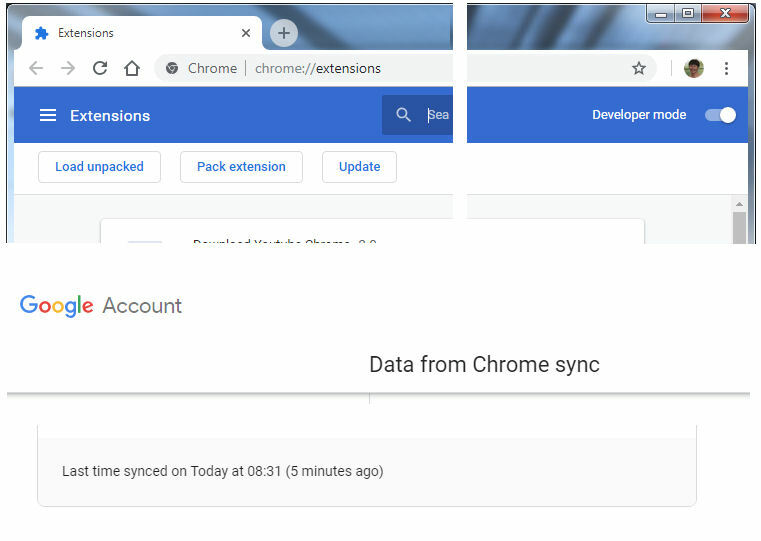 If you are a Google Chrome user and think you may be having trouble with Chrome not syncing across all your devices, there is a way to manually force a synchronise. Firstly, go to the vertical ... Menu on Chrome's right-hand side. Then go to the left-hand vertical _ _ _ Settings menu, and select Extensions. Once open, check that "Developer mode" is switched to on on the right-hand side of the blue activity bar. Enable it if it is not already enabled. Click the Update button. At this point, a sync should occur immediately for extensions, bookmarks and all Chrome Sync features. However, you can check that a sync has happened by going to chrome://settings/, then to Sync (which should also say "On - sync [whatever you have set to sync] underneath that heading", and going into the details using the right-hand arrow head. 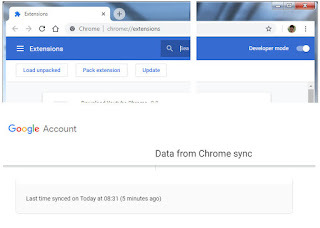 At the bottom of the page, click on "Manage synced data on Google Dashboard", and at the bottom of that page, you will see the time of the last synchronise. Secondly, if you are still having trouble, you can get more information on exactly what isn't working by going to chrome://sync/ in a new tab. While in general fixing this kit is beyond me, look for "disabled by user" against bookmark syncing. If you find this, simply go back Advanced Sync settings (previous paragraph), and change from 'sync everything' to choose what to sync. Untick bookmarks and save. 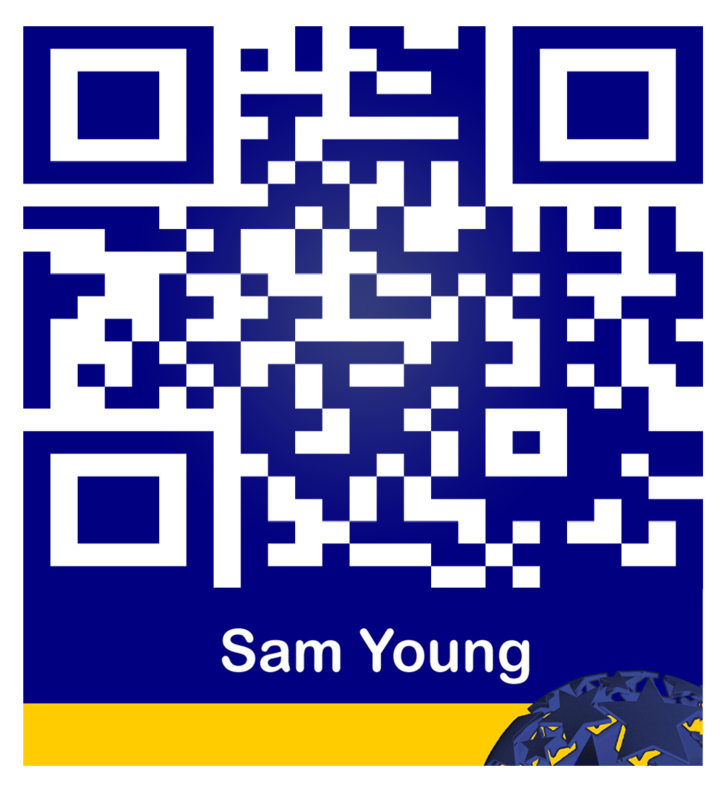 Then re-tick bookmarks, save, and it should be working again.